I love the snow. I really do. In fact, I recently did a post on another blog site about being a transplanted west coaster, and how much I love the east coast seasons. Yeah, that post was a couple of feet of snow ago. Not foot, feet, and more snow expected tomorrow. I live in the burbs outside of Boston, MA. The big snowfalls usually skirt us, but in two weeks time, we went from record low snowfall to record breaking high snowfall. The trains into Boston actually stopped running yesterday, and will be on an abbreviated schedule today…God only knows what will happen when more snow comes tomorrow. There is literally nowhere left to put it. Here is my back deck after one storm dropped 2 feet of snow. That’s our covered grill and a wrought iron table in front of it. We had to dig out a spot in front of the garage for the dog to go to the bathroom! 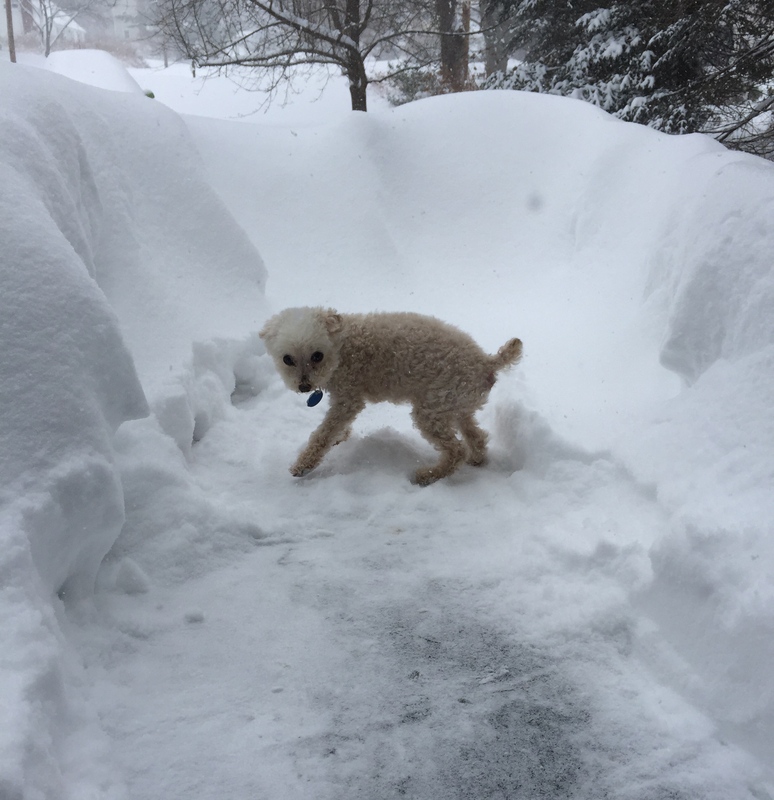 Granted, the dog is smaller than most cats, but the blob barely sticking up behind the wall of snow? That’s a car. Ok, here’s a shot of the same grill and table one week later! Stud has had to climb out onto our roof twice to rake snow, which scares the crap out of both of us, and we had to help our neighbor out of his driveway when he got stuck this morning. It’s still beautiful, but it’s not fun anymore. Samantha Cayto, Frances Stockton and I are supposed to fly out to San Antonio, TX, for the Wild Wicked Weekend next week. Please keep your fingers crossed that we can get the heck out of Boston. It’s warm in San Antonio, and not a snowflake in sight. 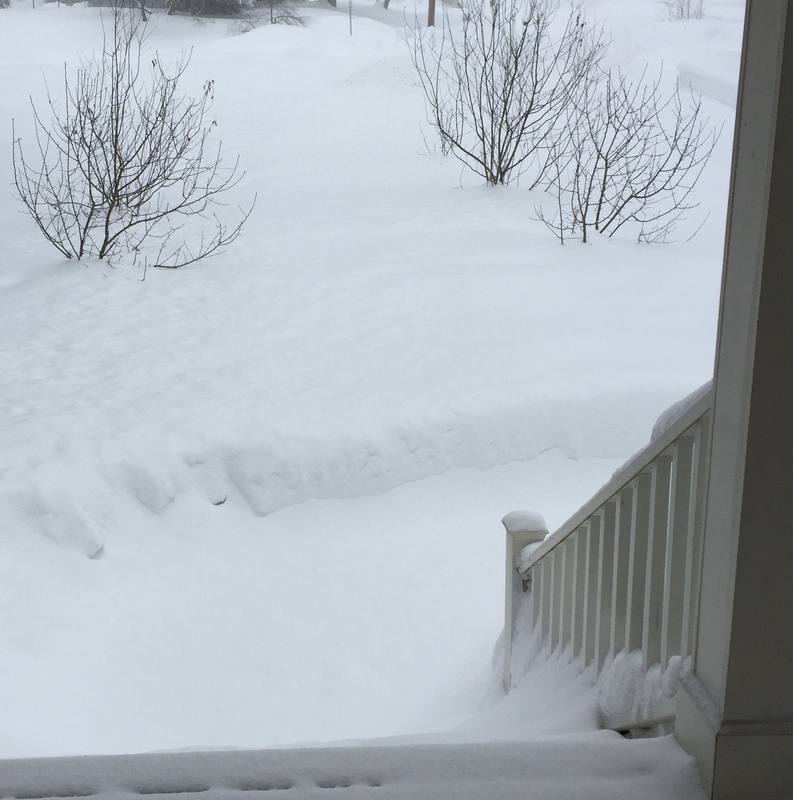 Wow–that’s a lot of snow! We had our snowmaggeddon last year. My friend who drives me to work made me go to work in it. This year, so far, so good. It’s iffy right now. Minor snow tomorrow, but calling for another big one on Sunday. Haven’t heard the particulars, and Lord knows it changes every 10 min here! 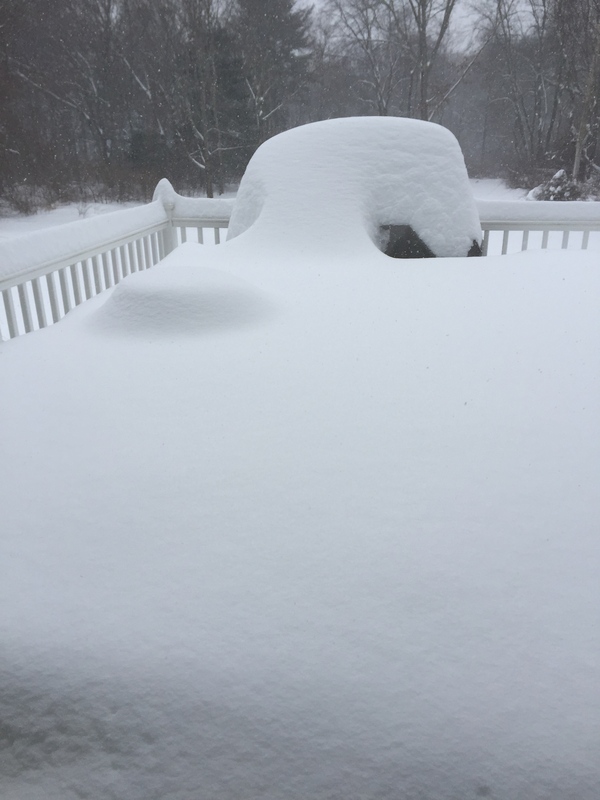 I’m with ya…in central MA and am DONE with the snow!! I hope you can escape next week!! Usually hammers central MA and leaves us alone! Not this year.